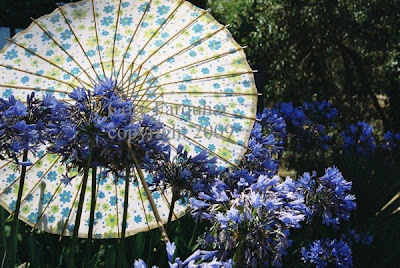 My garden is just about to change, I can smell Autumn in the air, my blue agapanthus and blue hydrangeas have finished and ready for me to cut away. The leaves are starting to fall from my fruit trees and the birds have finished off the last of the fruit for this season. 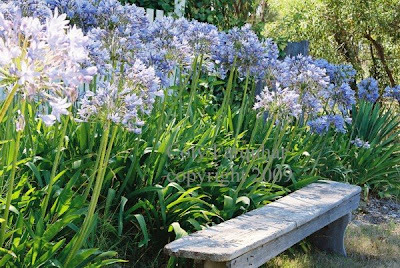 This is my little garden a couple of weeks ago, each year we get more and more agapanthus flowers and this year they seem to be much taller than normal. 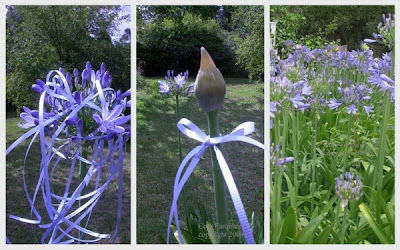 I'm going to cut them down chop off the flower heads and save the long stems in my shed for a display that I have at the end of the year. The stem is so strong and when dried it still has the perfect green colour. Later I can attach fake flower heads to the stem, just perfect. 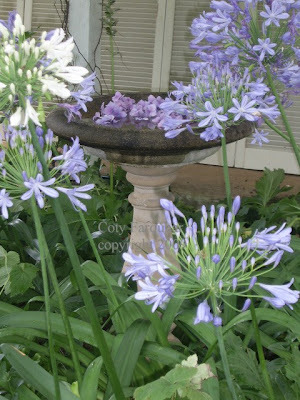 I have more gardens and images over in my garden blog,,, click here and have a little look. A Southern Day Dreamer blog. 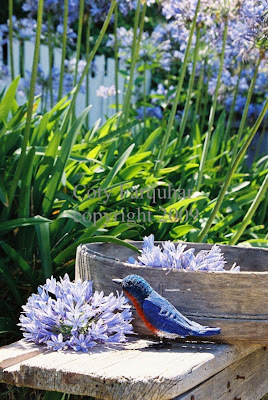 I love your garden....and the way you capture it in your pictures is wonderful! Gorgeous post. I'm adding your link to my list. What a beautiful site!! Your autumn begins, as our spring is about to begin here in the US. We're just beginning to see signs of spring here in Missouri. Oh my goodness, what a garden! Lovely, lovely!!! This is one of the most beautiful gardens that i have ever seen!!!! You are going into fall and we are coming into spring, how neat!!!! I really enjoyed visiting with you on your blog today, and i am certainly will be back soon. What amazing photographs! 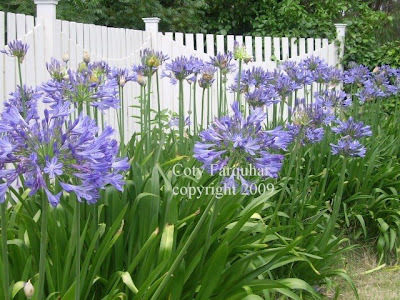 The blooms are gorgeous and look expectant, as though awaiting a garden party. Coty I have just spent an hour looking at all your beautiful pictures. You are one very talented lady. 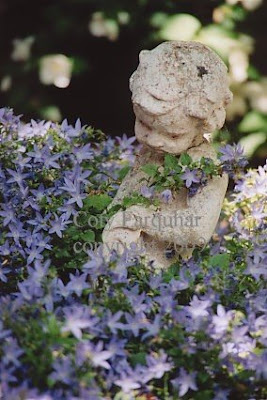 I love the colors, the children, the gardens, the art you create and your love of life itself. Your husband is also very talented indeed. I think, my next vacation is to...Australia. Then of corse, I am coming to visit your beautiful blue garden! 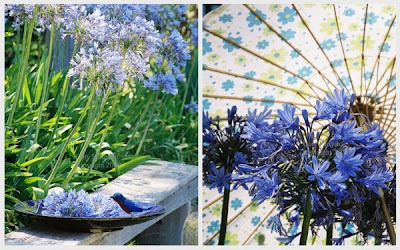 Beautiful images Coty - I love the contrast of the vibrant Agi's against the washed grey tones of the wooden bench. Your garden is beautiful! 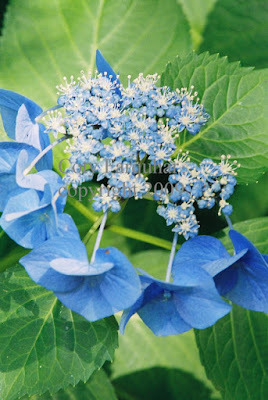 I so love blue flowers!